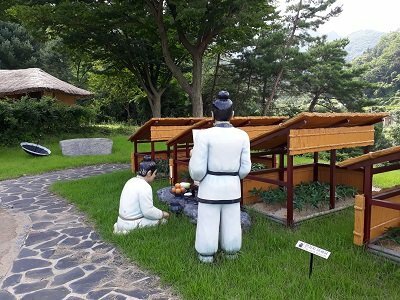 According to the myth, 1500 years ago, in the province of South Chungcheong, in Geumsan, lived a schoolboy named Kang who had a great devotion to his widowed mother who had fallen ill.
Kang went to Gwaneum Cave on Mount Jinak to pray for his recovery. The guardian spirit of the mountain appeared to him in a dream, telling him to find a plant with three red fruits and to feed his mother with the roots. When Kang woke up, he ran immediately to the top of the mountain and found the plant. 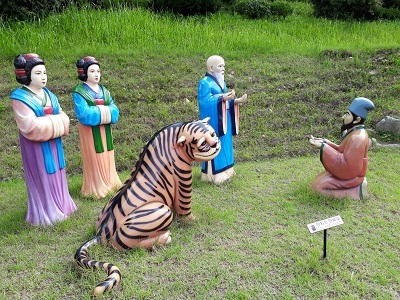 Kang took the roots and prepared a tea for his mother who quickly healed and got up again. The plant was Ginseng. 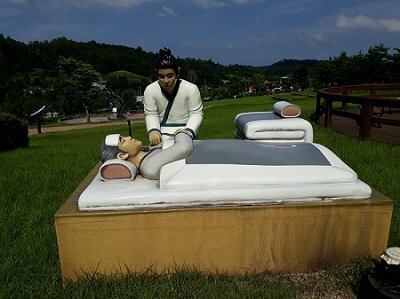 Kang began cultivating Ginseng and since the Geumsan region is famous for the quality of its Ginseng. Today it is one of the largest sources of Ginseng root harvest in Korea, producing more than 80% of the country’s harvest. 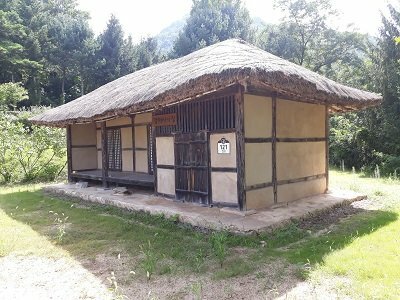 Kang had just created the first Ginseng farm, his house is still preserved. Ginseng-Premium products come from this region and our crops are close to the original farm.